Jamie, I am so sad upon learning this sad news. 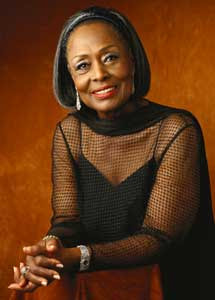 Shirley Verrett was such a wonderful teacher, and you were so incredibly fortunate to have her as a teacher. I got to know her and her husband rather well, as they were 'regulars' at Ayse's Ca...fe (which we shared in common as our favorite little restaurant). Countless times we would chat, and she would tell me about her very full day of observing her students in opera rehearsals and the like, having practically worn herself out in the process. She was so devoted to her students and lavished so much loving care upon them in ways that seem almost incredible, when one thinks about it. Thank you for such a moving tribute to her, so beautifully stated. You have my sympathies and will remain in my thoughts during this time of sadness. 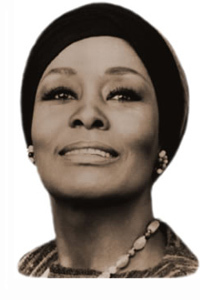 Jamie, I had no idea you studied with Shirley Verrett. I have been a fan of hers for years. I only saw her in person once, with Beverly Sills in Siege of Corinth, but I was a fan even before that. I'm so sorry for your loss, but a little envious that you had her as a teacher. Thank you for your tribute to her.